Knee injuries are painful, debilitating and extremely common. A sudden twist of the knee can tear the cartilage that cushions and stabilizes the joint. 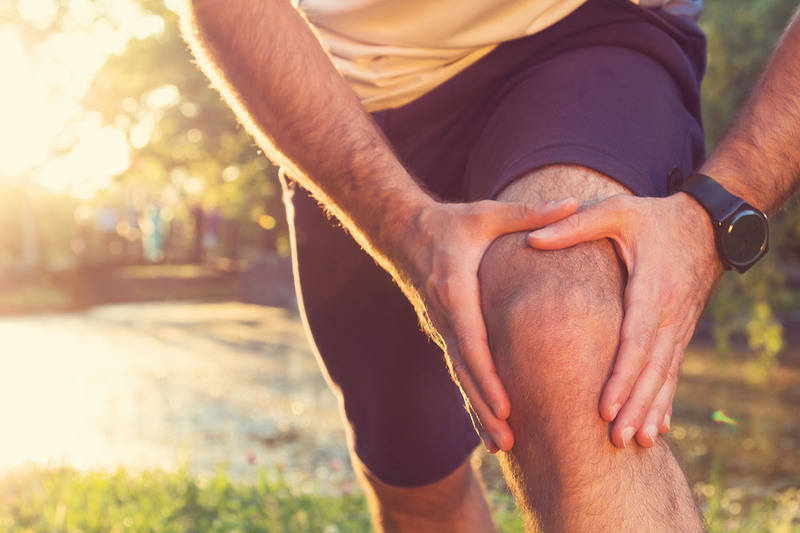 Knee injuries often predict the development of osteoarthritis (OA). Even when an injury is surgically repaired, damage to cartilage triggers a cascade of degenerative cellular changes. Cartilage protects the knee by acting as a shock absorber and lubricant for the bones of the joint. When the disease progresses to the point where bones begin rubbing against each other, the disabling pain and swelling that results can only be relieved by knee replacement surgery. As cartilage erodes, joints become warm, painful and swollen. What happens inside the cartilage after knee injuries that lead to degeneration? Over the past decade, researchers have identified special cartilage cells that ensure a smooth gliding surface for the joints. Although all the cartilage in your body develops before you’re born, your cartilage is continuously being replenished and renewed. When you sustain knee injuries that tear your joint cartilage, cells at the injury site change and become bigger and their DNA profile changes, too. Instead of continuously renewing and replenishing the cartilage, these unruly cells start eating up the cartilage around them. 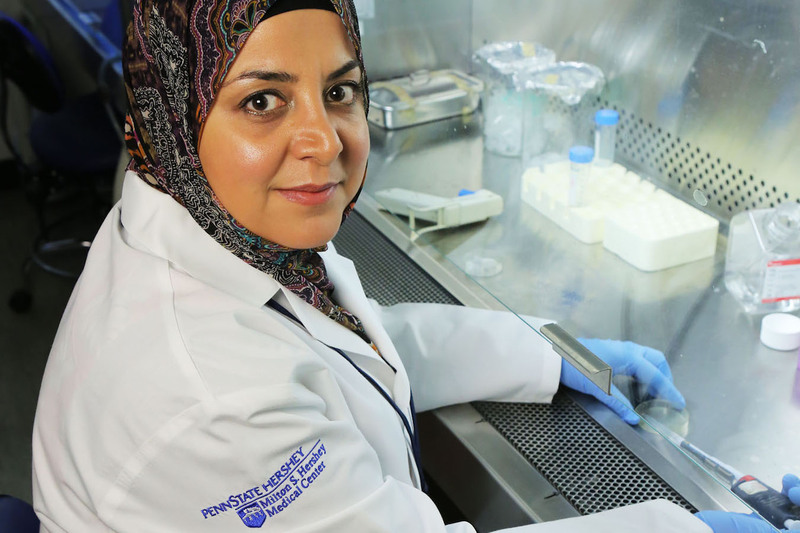 With funding from the Arthritis National Research Foundation (ANRF), Dr. Kamal is studying the role of proteins that activate key inflammatory signaling pathways in the body. Her research involves a particular type of cell surface receptors—G-protein-coupled receptors (GPCRs)—that act like an inbox for messages that spark continuous and progressive cartilage degradation. Dr. Kamal was recruited to Hershey Medical Center at Penn State to begin a pilot program in osteoarthritis research, continuing a project begun at the University of Rochester. The Kamal Laboratory studies cellular pathways that control cartilage in healthy tissue and the key processes that transform them to pathological cells, which leads to cartilage damage and loss in OA. 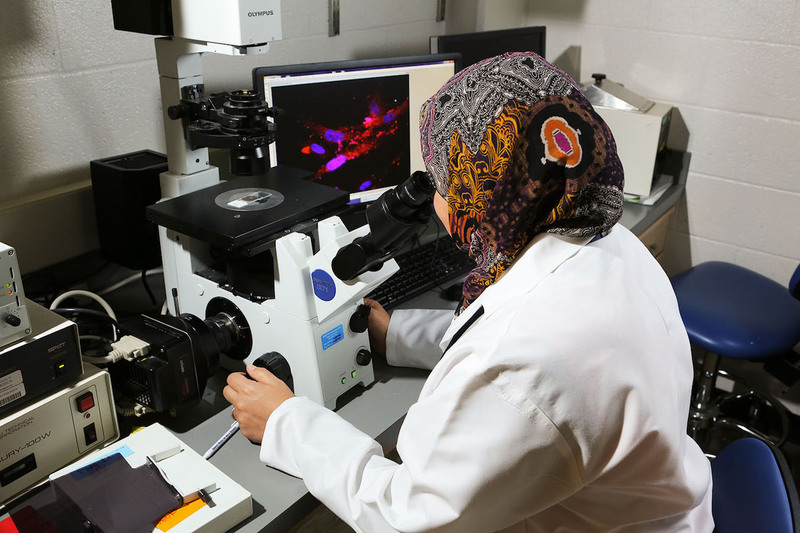 Dr. Kamal’s group has shown that the expression of a particular enzyme was significantly elevated in acutely injured cartilage and chronic OA. With funding from ANRF, she found that inhibiting this specific signaling pathway, GPCR-Gbetagamma-GRK2, may delay or even reverse cartilage degeneration in a mouse model. One of the inhibitors researchers are studying is a repurposed FDA-approved drug. The drug Paxil (paroxetine) is currently used as an antidepressant. Her ANRF grant funding is vital to finding ways to potentially cure the crippling disease that afflicts more than 30 million American adults. In addition to the GPCR-Gbetagamma-GRK2 inhibitors proposed in this ANRF-funded research, Dr. Kamal is continuing to search for other ways to tame the abnormal growth and behavior of cells. The work of the Foundation is entirely supported by generous donations that make funding scientific discoveries possible. 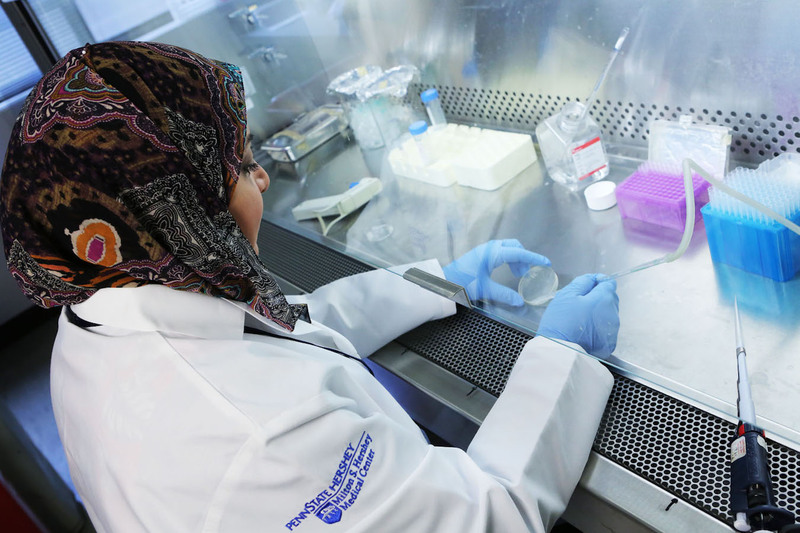 Help support research like that of Dr. Kamal’s by making a donation today!